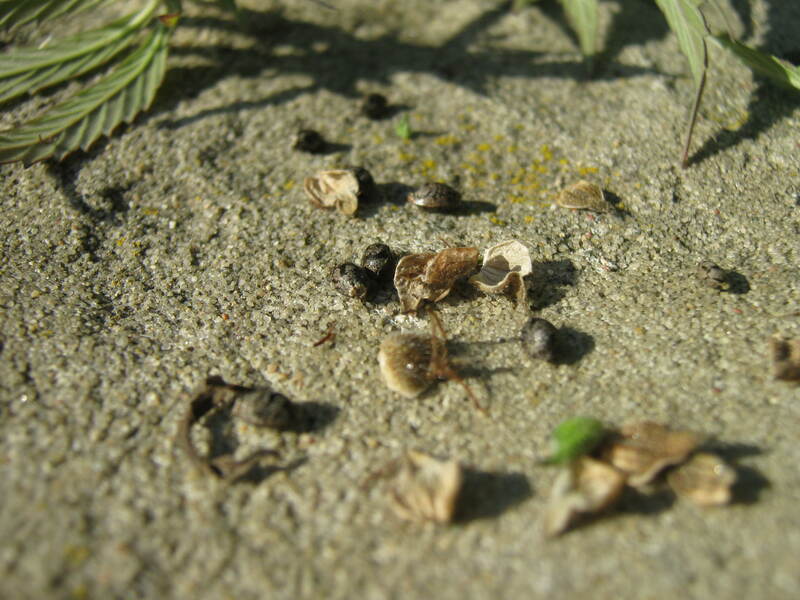 Last fall, we collected seeds from wild C. Ruderalis marijuana plants growing along roadsides and in fallow land (see the post here). We planted them early last month, and they have grown rather well in their new indoor setting. As with their wild parents, they are of a rather short stature, with leaves of moderate with and strongly-toothed margins. The plants have given off none of the typical marijuana odor during their vegetative phase. 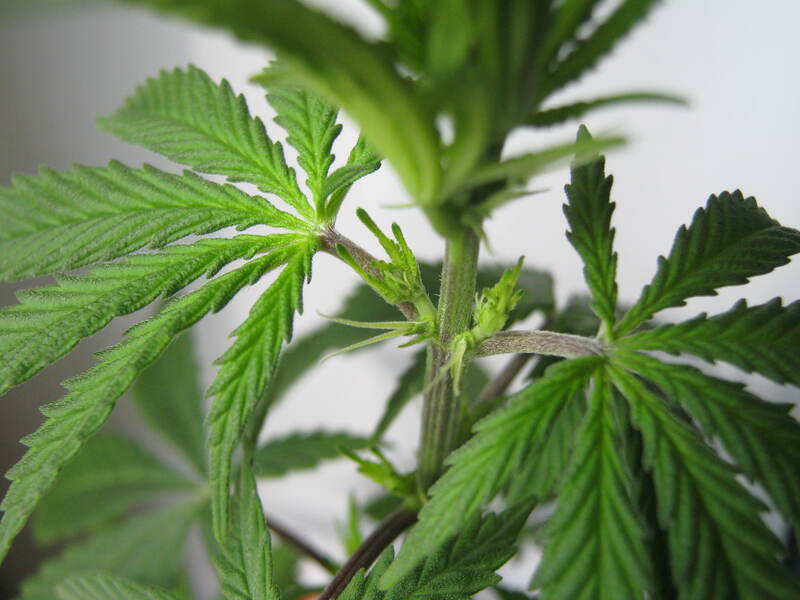 A couple of weeks ago (previous post) we showed you a male plant that grew from our “wild weed seeds”, and now we’re pleased to report that the others are female plants. You may notice that they are small and rather dark compared to most commercial seeds, although we have seen autoflowering variety seeds that are similar in appearance. 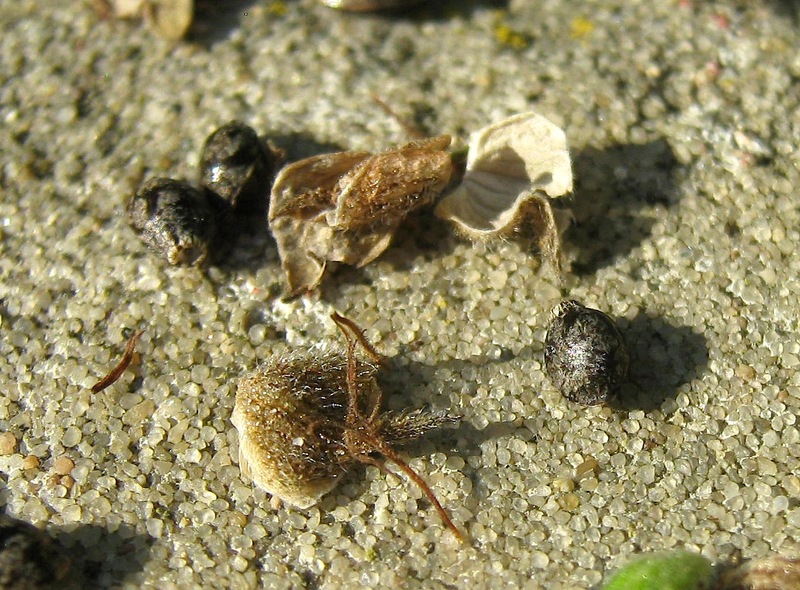 The seeds took somewhat longer to sprout due to the harder shell. This is a common complaint among autoflowering variety growers, and you can expect 2-3 days longer wait time before sprouting if you happen to receive the small/dark seed phenotype if you order an autoflowering variety from a seed bank. 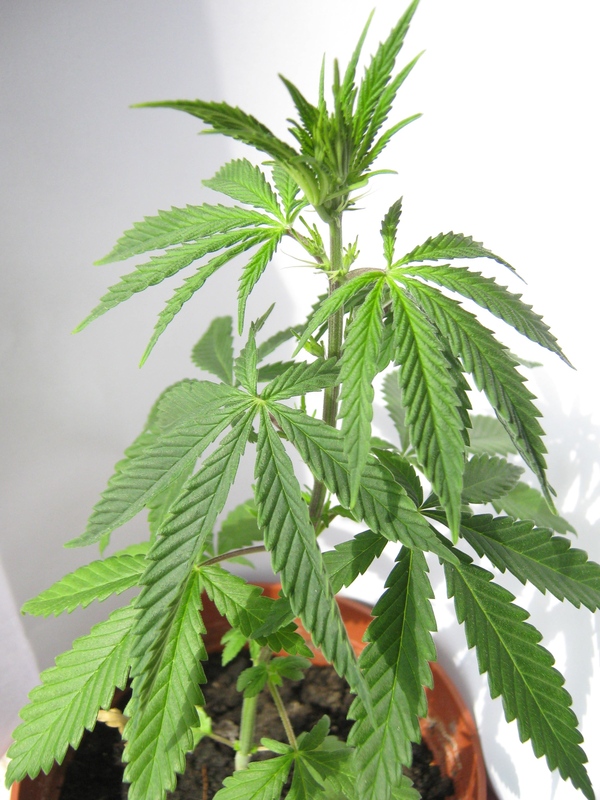 In the wild, this marijuana’s mother plant had produced buds with a strong orange/spice aroma, although due to the meager soil in which the plants grew, the buds were rather small. I’m hoping that with our home-grow TLC, we can entice these babies into producing thicker buds while maintaining that intoxicating orange liquer scent that I experienced last summer. Check back next month for the results! I have also found some wild Ruderalis strains and am hoping to cross them to some regular high grade cannabis plants! Nice blog you got here! Will definitely be back for new posts! Hi! Thanks for your posts. I also had a very similar experience to yours and have Ruderalis plants growing under CFL and they seem to be healthy and happy. I would love to see more pictures of your plant as it grows. How did they turned out? It’s for me unpossible to acquire ruderalis in Holland, maybe one of you can help? Autoflowering seeds are no problem at all, but pure ruderalis is very hard to find! I even have a clone that has taken root and got it in veg. Have you managed to grow some seeds from both autoflower parents, I would be very interested in such a pure strain in seed form. Thank you and lovely articles about this lovely plant!